5 candidates. 3 chairs. No Andrew Pope Southampton Independents. No proper explanation by the BBC. 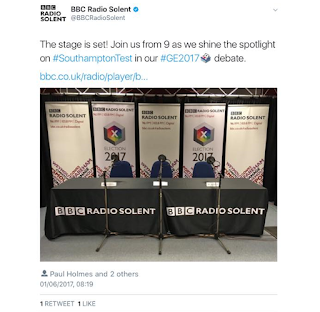 Following the outrageous, biased and party political exclusion by BBC South of our Candidate Andrew Pope and Southampton Independents from the BBC Radio Solent Panel debate this morning, Andrew makes the following announcement. The same was broadcast on BBC Radio Solent at 9am yesterday. 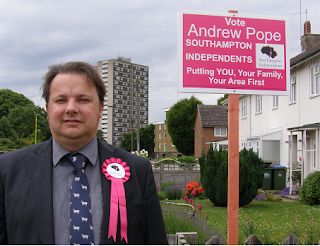 Hello, I’m Andrew Pope, your Southampton Independents Candidate for Southampton Test. I work for you. I’ve helped Southampton residents all year round, not just at election time. 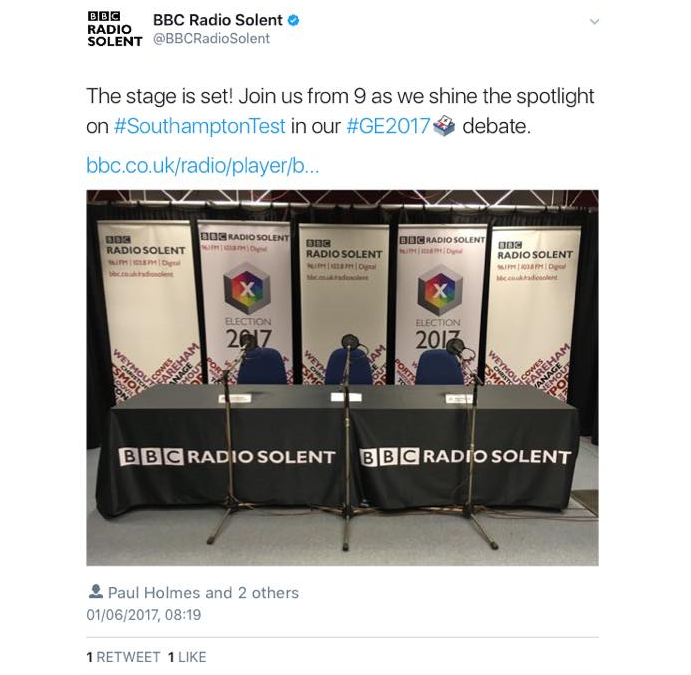 Sadly, I’ve been excluded by BBC South from participating in today’s debating Panel, with no good reason given. Southampton Independents have been given just one minute. Our supporters have challenged our exclusion from today’s Panel by BBC South. 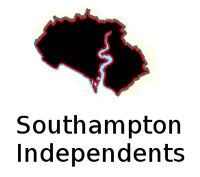 Local media The Daily Echo and ITV Meridian have all included Southampton Independents. And so have the organisers of the hustings. So why haven’t BBC South? It’s outrageous. As community campaigners, we campaigned for Brexit. Soton Indies also exposed the failures in the local NHS, the City Council and Southern Electric. So I now announce our new campaign to expose BBC South, as it has failed to be impartial. We excel at exposing failures and cover-ups. I will continue to stand up for you, here and in Westminster. Please see our Southampton Independents website and our Facebook page for more. We have complained to Jason Horton, the head of BBC South, who has largely ignored our protests and the evidence we have provided to show "current electoral support" as required in the OFCOM guidelines. 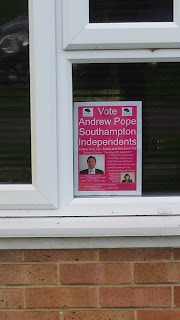 For example, there are a lot of "Vote Andrew Pope Southampton Independents" boards, supporters and leaflets displayed by our supporters. We will be taking further action at this outrage, and campaigning to expose BBC South as biased, unprofessional and party political. 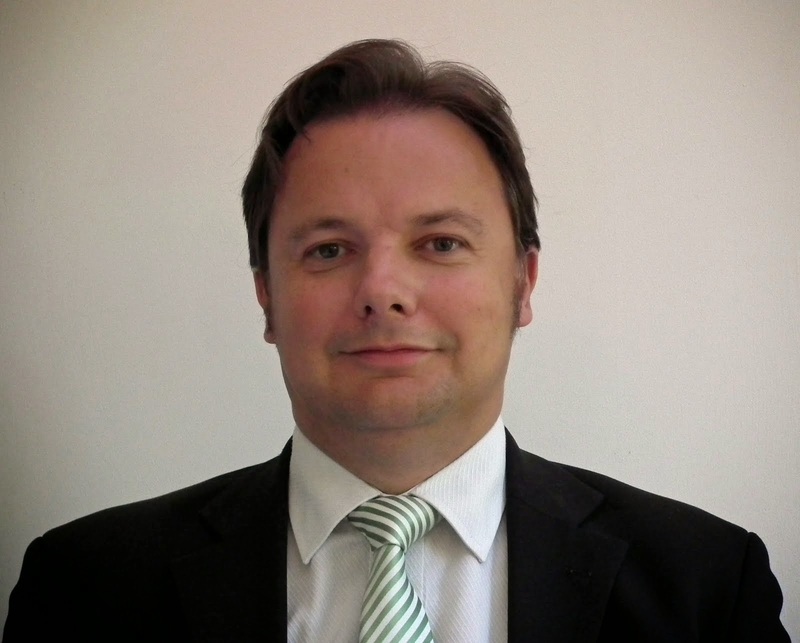 "Change is needed at BBC South. We will campaign with residents for that change."